The Congress chief took to his Twitter handle to share a data, highlighting the initiative taken by the ruling National Democratic Alliance (NDA) Government for the farmers and how they flunked to meet the expected outcome. 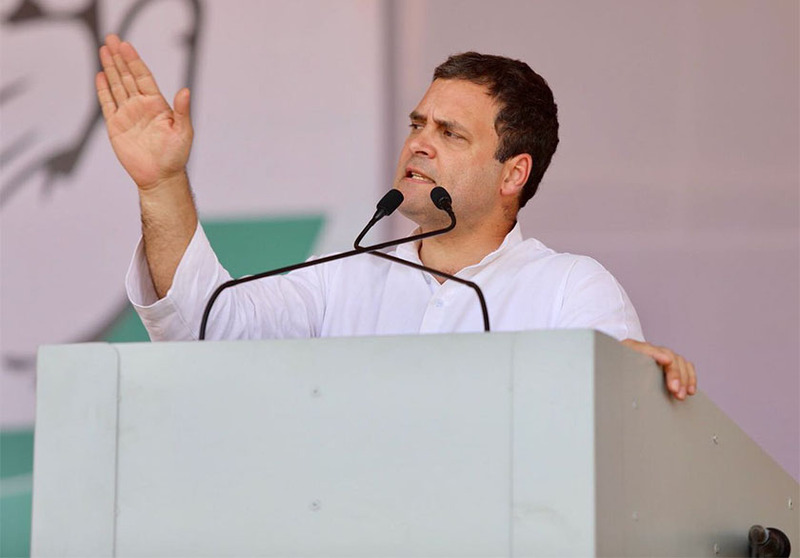 New Delhi: Congress president Rahul Gandhi on Thursday attacked Prime Minister Narendra Modi over the condition of farmers in Karnataka and said that the Centre failed to tackle the apathy of the peasants. The data showed that the Centre's contribution to waive off the loans in the Congress ruling state was none and the Prime Minister's crop insurance scheme only benefited the private insurance companies, rather than the farmers. Rahul's tweet came a day after the Prime Minister held the Siddaramaiah Government responsible for the grim condition of the state farmers. Prime Minister Modi on Wednesday trained guns at the ruling Karnataka Government and accused them of not letting the benefits of 'Fasal Bima Yojna' reach the farmers.